Ara Poghosyan — Vice president of Basketball Federation of Armenia, initiator of the Armenian national team in basketball. Currently lives in Moscow. Together with like-minded people, he initiated the establishment of the team with the aim to revive the interest in basketball in Armenia. 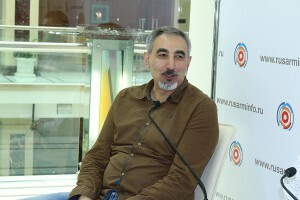 For recruiting purposes Ara Poghosyan searches for basketball players of Armenian descent all over the world, inviting them to obtain citizenship of Armenia and in the scopes of the international competitions perform under the flag of the country. Recall that the matches in the Division «B» of the European Championship were held in Hungary from July 9 — 19. In the first round, the team from Armenia won a victory over the Swiss national team with a score of 71:57, the second and third games were lost to the teams of Macedonia and Belarus, and in the fourth game Armenia with the score 81:55 won the team from Moldova. The performances of the Armenian team were led by the Russian expert Victor Uskov. Amiran Amirkhanov – a professional basketball player, played in the Khimki -PODMOSKOVYE, CSKA, Dynamo, UNICS, Almaty Legion teams, playing coach of Moscow’s team in the VIth Pan-Armenian Games. Artem Tavakalyan – an Armenian youth team player, studies in the United States and plays for the Delaver State. According to the Vice-president of the Basketball Federation of Armenia, Ara Poghosyan, the basketball training system in Armenia is not working for various reasons. 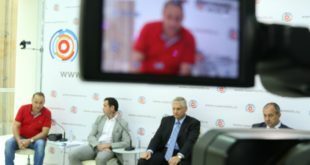 At the initiative of Poghosyan two years ago in Armenia were established free of charge basketball sections for children up to 6-7 years old: three sections opened in Yerevan, another — in Hrazdan. This is a special project that is not funded by the state. However, people have lost the habit and show no interest in sports. «If such sections were opened in Moscow, it would have formed huge queues of people willing to attend,» says Ara Poghosyan. According to the founder of the national team, basketball is a promising trend. For the development of this sport there are two ways: to attract Armenians from the diaspora and develop basketball in Armenia. In Armenia, on the development of the sport is spent very little money (in comparison, the budget of the Armenian basketball is 50 times less than in Georgia). 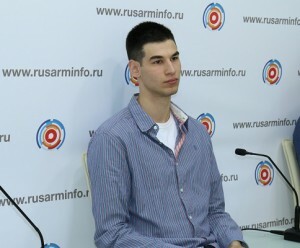 VIth Pan-Armenian Games From August 2-13, the Moscow basketball team, consisted of players from both the Armenian youth team and professional basketball players performing in clubs of Super League and Major League of Russia, will participate in the VIth Pan-Armenian Games. The team gathering of players has already taken place in Moscow, from July 26 the trainings will kick off, and on July 31 the team will fly to Yerevan. In a subgroup with the Moscow basketball team in the Pan-Armenian Games will compete the teams of Buenos Aires, Los Angeles and Syria. Among the strong competitors Ara Poghosyan identifies the teams of Iran and Lebanon. In the VIth Pan-Armenian Games in Yerevan, the Armenian Diaspora of Russia, besides the Moscow team, will be represented by the team from Sochi.